First let me show you the basic technique called bending. This is one of the quintessential lead tools, and even though it seems like a tough task at first it will eventually become second nature - with some hard work and persistence of course! 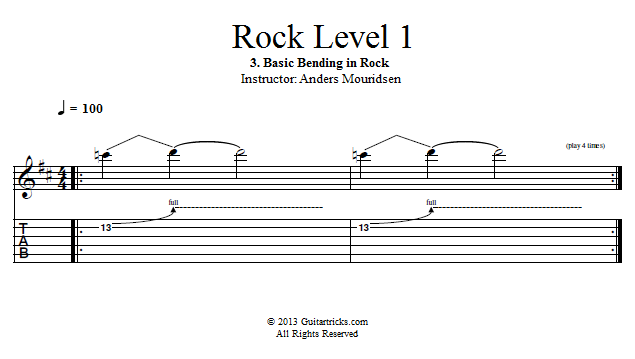 First we'll look at the basic technique, then we'll practice it with the metronome, and finally check out what it sounds like over a rock backing track.